Background/Purpose: Systemic sclerosis (SSc) is characterized by significant disability due to musculoskeletal involvement. Physical and occupational therapy (PT/OT) have been suggested to improve hand function, speaking and eating ability. However, the rate of PT/OT use has been shown to be low amongst SSc patients. We aim to identify demographic, disease-specific and psychological variables associated with PT/OT use in SSc. Methods: Subjects were adult patients with SSc enrolled in the Scleroderma Patient-centered Intervention Network (SPIN) Cohort, recruited from Canada, the USA and Europe. Medical variables were provided by enrolling physicians. Subjects completed demographic variables, including information on PT/OT use in the 3 months prior to enrollment, and questionnaires to evaluate disability, hand dysfunction, pain, fatigue, symptoms of anxiety and depression, body image distress, and self-efficacy. Demographic, medical, and psychological variables were compared between patients who had used PT/OT services and those who did not using chi-square and independent samples t-tests (or non-parametric equivalents) as appropriate. Multivariable binary logistic regression was then used to identify factors associated with PT/OT use in the 3 months prior to enrollment. Results: Analysis included 993 subjects with mean age of 55.2 ± 12.1 years and mean disease duration of 11.6 ± 8.8 years. 87% were females and 57% had limited SSc. 19% of subjects used PT/OT in the 3 months prior to enrollment, with hands being the most common indication (54%). PT/OT users had shorter disease duration, higher skin scores, and were more likely to have tendon friction rubs and joint contractures compared to non-users (Table 1). They had higher disability, lower rates of employment and self-efficacy, more pain, fatigue, and symptoms of depression, anxiety, and body image distress. Adjusting for other factors, PT/OT use was associated with being on disability (odds ratio [OR] 3.22, 95% confidence interval [CI] 1.81-5.71), more education (OR 1.10, 95% CI 1.04-1.17), early (≤ 3 years) SSc (OR 1.71, 95% CI 1.01-2.87), moderately severe small joint contractures (OR 1.78, 95% CI 1.11-2.86), and severe large joint contractures (OR 4.51, 95% CI 1.69-12.03) (Table 2). Conclusion: Fewer than 20% of SSc patients in a large international cohort use PT/OT services. These patients had earlier disease, more severe musculoskeletal manifestations and higher disability. Additional studies are needed to further explore the impact of psychological distress and other factors including health insurance on PT/OT use. Disclosure: K. Becetti, None; J. K. Gordon, None; J. Nguyen, None; C. Mancuso, None; L. Kwakkenbos, None; M. E. Carrier, None; B. D. Thombs, None; R. F. Spiera, None. Becetti K, Gordon JK, Nguyen J, Mancuso C, Kwakkenbos L, Carrier ME, Thombs BD, Spiera RF. Rates and Predictors of Physical Therapy and Occupational Therapy Utilization in Systemic Sclerosis: A Scleroderma Patient-Centered Intervention Network Cohort Study [abstract]. Arthritis Rheumatol. 2016; 68 (suppl 10). 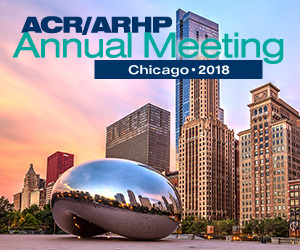 https://acrabstracts.org/abstract/rates-and-predictors-of-physical-therapy-and-occupational-therapy-utilization-in-systemic-sclerosis-a-scleroderma-patient-centered-intervention-network-cohort-study/. Accessed April 21, 2019.